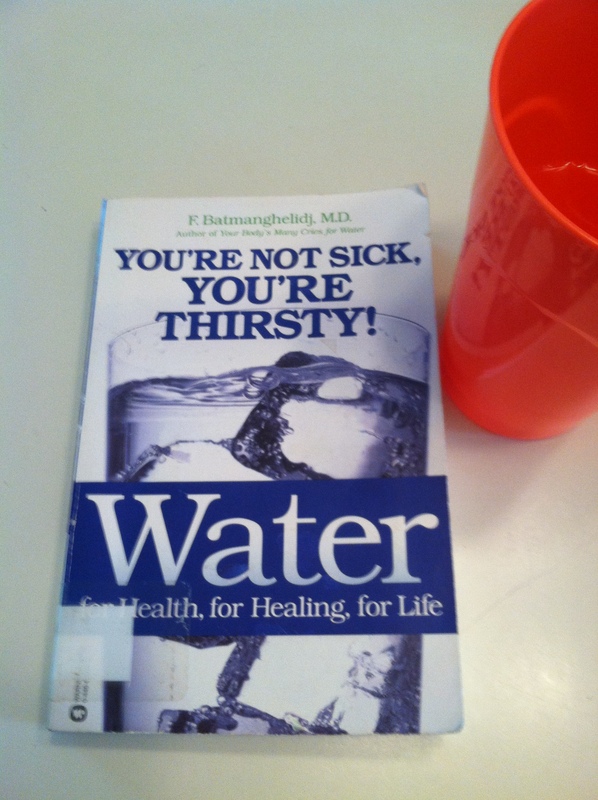 You’re Not Sick, You’re Thirsty! A little over a year ago, I came across these pictures on facebook. I already knew that I needed to drink more water, and these pictures gave me the extra encouragement I needed. Since then, I’ve been faithfully drinking lots of water every day (half my body weight in ounces). I can’t say that I’ve noticed a change in my appearance as this lady did, but I sure have noticed a difference in the way I feel. I recently came across a book on a library display. It’s called Water: For Health, for Healing, for Life: You’re Not Sick, You’re Thirsty! by Dr. F. Batmanghelidj. Dr. Batmanghelidj has done extensive clinical and scientific research in dehydration and disease. I’ve read the first chapter and skimmed most of the rest of the book, and my mind is blown! Here are just a few of the topics addressed in this book: asthma, allergies, blood pressure, diabetes, constipation, heartburn, rheumatoid arthritis, obesity, hot flashes, kidney stones. I’m sure I’ll be sharing more of what I’m reading. For now, I’m going to pour myself a glass of water! Previous Article Take Us to the Beach!